Beaux Arts Atelier 2nd year studio design esquisse, red chalk and sepia ink/wash. 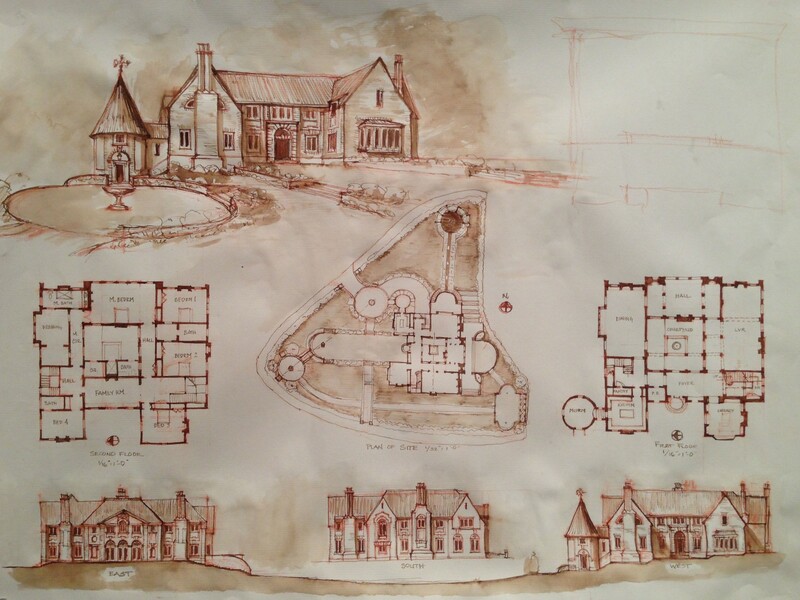 Objective: to create parti designs for a new manor house and garden in the manner of Edwin Lutyens for a site in Forest Hills Gardens, NY. Selected precedents include Lutyens’ Hampstead Garden Suburbs, Homewood, and Benno Janssens “La Tourelle”.